New Web Release – Search Edition. Group search, better OA search and more! We held another Mendeley Open Office on Friday, November 26, 2010. Trying something new, we are now doing talks. And as promised, here is the talk I gave on increasing the visibility of your research. I’ve added speech bubbles to the slides to give some of them more context in case you were not here to listen to it live. I also added a little more information that wasn’t on a few of the slides on the actual evening. This was a Friday evening talk, with dozens of people happily enjoying beverages and mingling, so needed to be kept short. One thing that is important to point out is that improving your career means marketing it, just like you would take a grant writing course to improve your odds of funding. Some people might look down on this; they’ll be the first to be left behind in a world where finding the needle in a haystack of millions of research articles is more and more dependent upon academic search engines such as Mendeley, Google Scholar, or PubMed. This is becoming known as ‘Academic SEO’ and is a variant of SEO or Search Engine Optimization. And just like regular SEO, there are expected methods you should be doing to get your content indexed. There are of course things that you shouldn’t do, and that’s where we need to start drawing the line and is a discussion for another time. If you are having trouble reading some of the text, then click on the menu and ‘View Fullscreen’ option. To everyone who came out to our Office Event: a special thanks for braving the cold and warming us up. We met lots of fun and interesting people from NYU, Columbia, SPARC, New York Academy of Sciences, American Museum of Natural History and a few twitter invites. The night started with yummy food and delicious drink. 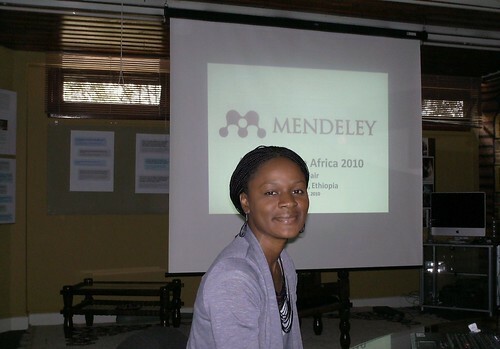 Then Jan talked about Mendeley’s journey from an idea between friends to a research network that spans the globe. Our guests made their way over to our trivia wall for a bit of fun and before we knew it the night was over. On behalf of the NY Team, thanks for a great night. So great that we’re hosting more in the future. If you have any ideas about what we should do or who we should invite, don’t hesitate to let us know. We’re looking forward to it! Mendeley is now settled in our new office space in New York. We are hosting an Office Warming & Open Science Event this Friday November 19th from 6-9pm. We want to invite neighbors and colleagues – if you are interested in Mendeley and the future of open science we welcome you to join. The evening will be a chance to share ideas, connect with others and get to know the Mendeley team better. Jan, our Co-Founder, will briefly talk about Mendeley’s journey and give an update on what we hope to achieve. The New York team will also introduce themselves along with good food, tasty drinks and fun activities.